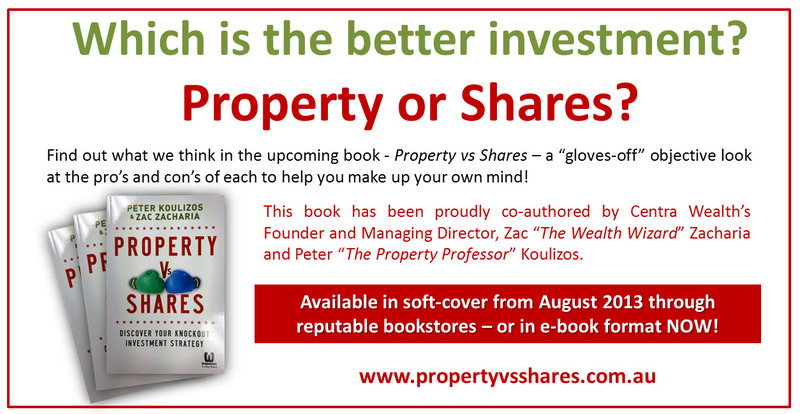 This easy-to-read and understand investment book has been written by Peter Koulizos (“The Property Professor”) and Zac Zacharia (“The Wealth Wizard”) – both of whom are specialists in their respective fields of Property and Share investment respectfully. It was written to help provide the answer to investors to the question that keeps getting asked over and over: “Which is the better investment – Property or Shares?” If you’re like most investors, you have probably been deliberating over which form of investment is better: property, shares or both. Property vs Shares shows you how to achieve success across both asset classes, so you can develop a diversified investment portfolio that helps you achieve the lifestyle you’ve always wanted. Property vs Shares shared a post. PIPA Chairman Peter Koulizos shares his insights into how changes to negative gearing may affect the property market in this well researched Smart Property Investment story. We chat about the perils of bad investment decisions throughout our episodes. we can’t wait to share our series with you!